Medicare Proposal Could Stress Strapped Seniors : Shots - Health News A Senate bill that aims to save Medicare money could lead to higher costs for patients. But fresh research suggests many seniors, whose nest eggs are slim, could have trouble coping. Can seniors afford to pay more for Medicare? Medicare patients would pay more — in some cases much more — under a bipartisan bill introduced in the Senate today. But can they really afford it? Sens. Tom Coburn (R-OK) Joe Lieberman (I-CT) say the savings to be realized from their bill would both help reduce the nation's debt and shore up Medicare's shaking financial situation. Among other things their bill would combine the current separate deductibles for Medicare's Part A (hospital and inpatient care) and Part B (physician and outpatient care) into one single deductible. Because so few Medicare patients actually use hospital care each year, that would have the effect of raising out-of pocket spending for the majority of people on the program. To discourage what they say is the overuse of care because supplemental private insurance covers what Medicare doesn't pay, the bill would also prohibit such policies from paying the first $550 per year in required cost-sharing and limit coverage to 50 percent of a newly created $7,500 out-of-pocket annual maximum beneficiaries could be required to pay. Wealthier beneficiaries, meanwhile (those earning more than $85,000 per year) would have to pay higher premiums, and would face a higher out-of-pocket maximum threshold. But while the legislation, if passed, could take relieve some financial pressure on Medicare, a new study from researchers at Kaiser Family Foundation and the Urban Institute suggests that seniors overall aren't as prosperous as many politicians seem to think. Half of seniors had income lower than $22,000 in 2010; 25 percent had income lower than $13,000. Only five percent had incomes above $85,000. And while 91 percent of today's Medicare beneficiaries have savings, in most cases those nest eggs aren't nearly enough to pay substantial medical bills. Half of seniors have savings less than $50,000; a quarter have less than $8,400 money set aside. Ten percent had more than half a million dollars, half of those people had a million dollars or more. 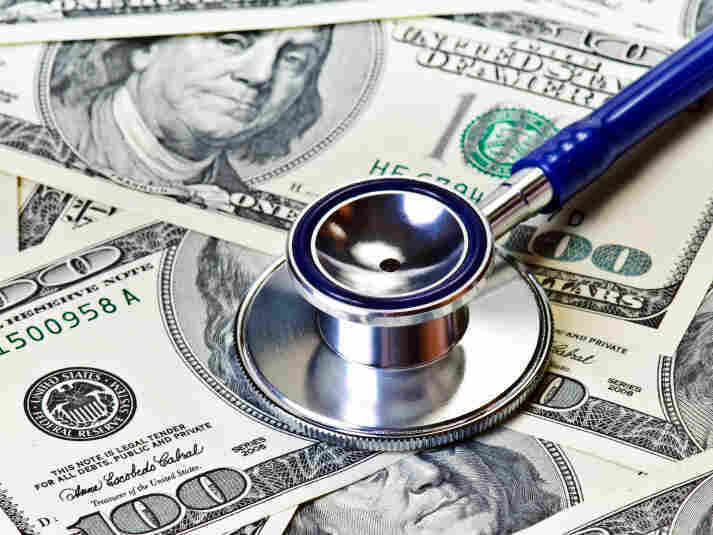 Yet even with today's Medicare coverage, health spending accounted for an average of nearly 15 percent of the average Medicare household's budget in 2009, according to another Kaiser study. That's three times the health care spending for those not on Medicare. Sure, most of the changes that are envisioned for Medicare are not for this generation, but for the coming one. But the future doesn't look much better for the baby boomers, the researchers found. While incomes are likely to rise somewhat, income inequality is likely to rise as well. That means beneficiaries who are white and college-educated are likely to fare better than blacks or Hispanics, or those with less education.